Okay, let’s back up. I’ve frequented Wellington for almost three years now, mostly for just work. I played around in the hunters last year with a show lease, but nothing prepared me for bringing my own horse to Wellington. 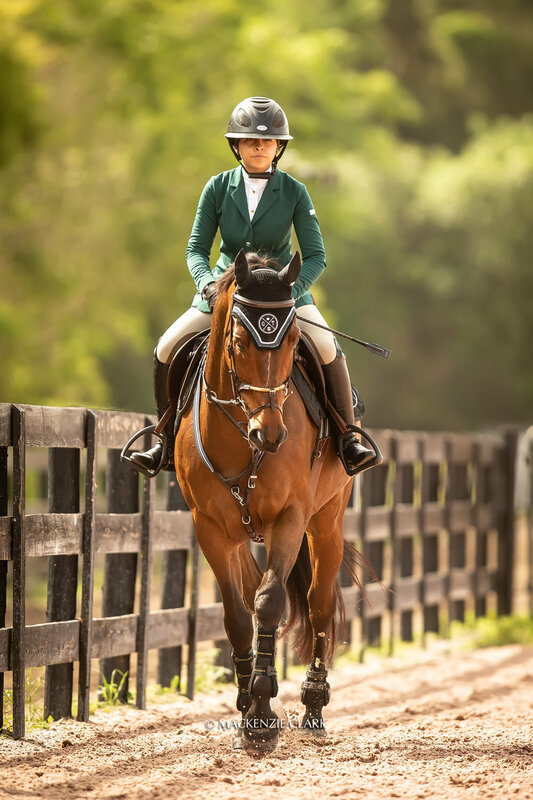 I took on a challenge of a scheduling nightmare of balancing work with riding — and eventually showing. Some days I get to the barn, sometimes I can’t — simply because I ran out of daylight. Sometimes I squeeze in the fastest ride of all time in the middle of my day, but I’m not all that lucky. There are days I feel like I could’ve done a better job grooming him, cleaning my tack, but time is a tricky thing when you have very little. And yet — I wanted to show. I picked my two lucky weeks out of the 12 I could part with work (some what…) to be able to achieve some of my biggest riding dreams this 2019 season. Never the dull moment with this guy…. Okay… so it’s not all bad. In fact, I probably wouldn’t change any stressful second of it. Having my trusty partner Pilot here has actually been the best thing that could’ve happened, as even those late nights at the barn served as nothing short of a mental holiday. 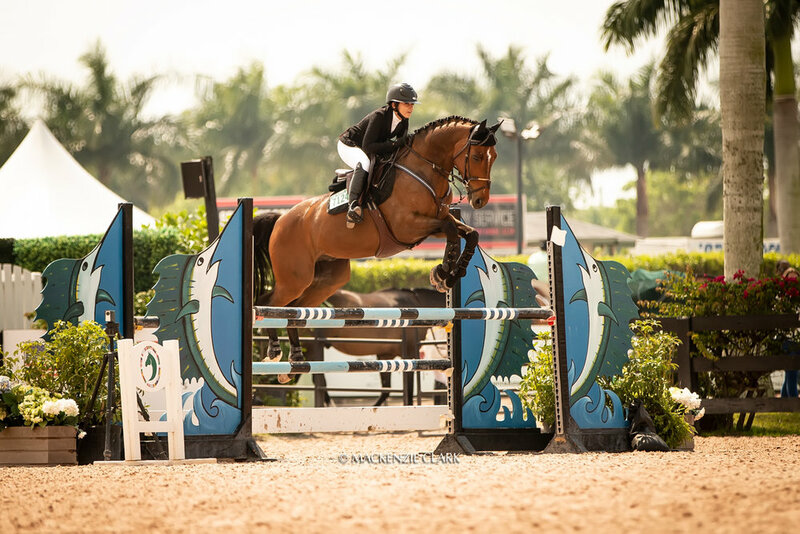 And to show my own horse at WEF? Words I would’ve never thought would have come out of my mouth as a young adult owning my own small business. I wont sugar coat it though, it isn’t easy. Long days of running back and forth between rings, constantly checking orders on my phone and playing with fire on how quickly I can walk from Tent 1 to DeNemethy Ring to not miss my client doing her first 1.35 class that I absolutely CANNOT miss. Even now, hunched over my computer as I type this, my back was seriously wishing my camera backpack wasn’t killing my posture with every step. Shout out to Pilot for stepping on my foot the first day of Week 10 to give me an actual limp as well, it really adds to my new aesthetic I think? 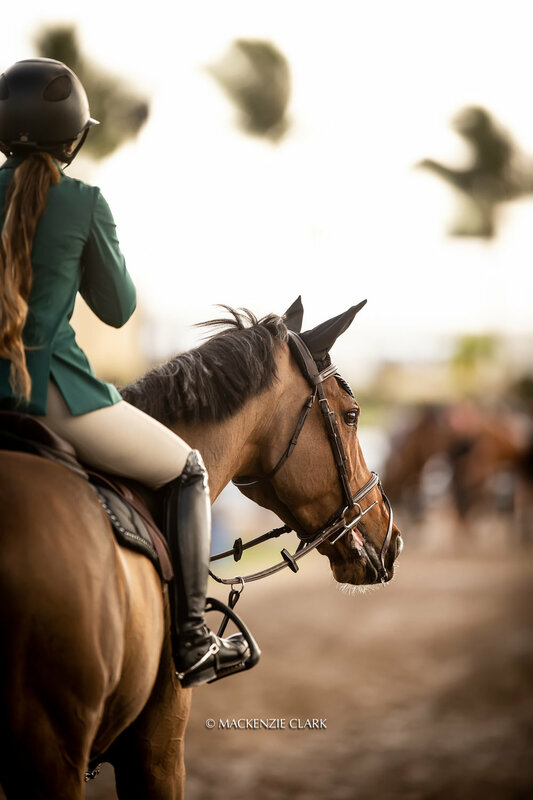 Before we even talk about riding, we have to talk about horse care. While I don’t have to do everything entirely on my own (Thanks to the amazing ATG Equestrian Team and my FL trainer Ashley Glica), it definitely isn’t a full grooming care situation either. Lots of tacking up, untacking, wrapping, poultice, hoof packing, tack cleaning… The list goes on and on, and I think I spent more time at the wash racks more than anywhere else sometimes. 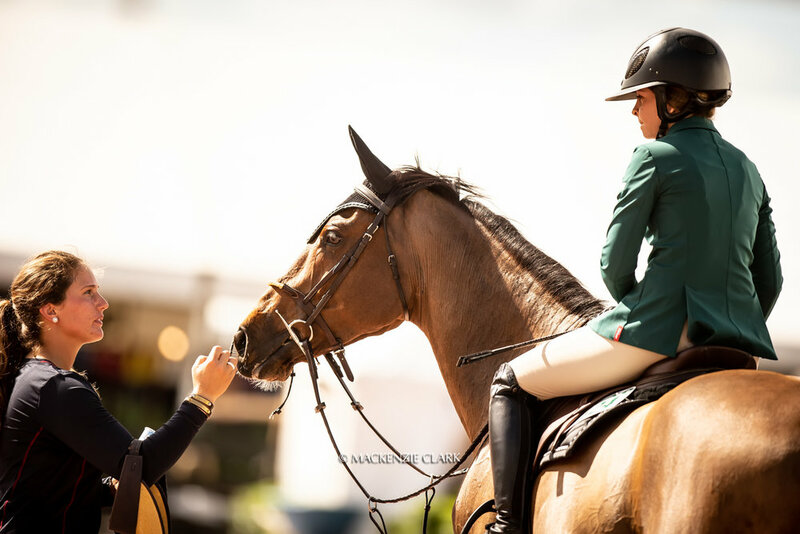 My years working for trainers and clients alike as a groom and working student has prepared me for these long days, but combine that with competing and you normally leave the barn dragging your feet and ready to crawl into bed — but instead of getting to sleep, you need to stay up late trying to meet those editing deadlines instead. Or, in some instances, I’d have to hop in my car and go to a photoshoot to end my day instead. 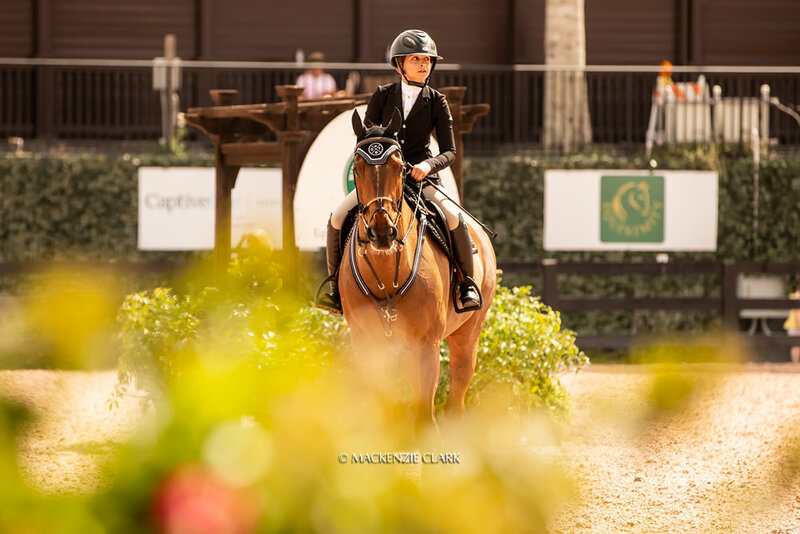 Two stunning Post-WEF day shoots! Still sound fun? We can’t really move on without finally getting to the riding portion of this journey. My little super horse was actually pretty amazing, got off the trailer like a champ and walked around the property without blinking an eye. Well, almost. That one drain by Ring 10 he is still convinced is going to pull him into the depths I think. He actually is surprisingly well behaved at horse shows, he goes into this kind of “zone” where nothing fazes him. There are many times hacking around at this crowded, bustling show were I can’t help but admire my horse and that he is actually mine. He handles the stress better than I do, bless his heart. Our first little jump school around Ring 7 was great (a little exciting) and I almost collided into someone — so a typical warmup day! Week 7 and 10 started out pretty much the same, a quick 1.00 Schooling on Thursday before we moved up to the 1.10. I felt strangely… confident. We put down some of the best rounds I’ve ridden in a long time, they weren’t perfect or ribbon worthy but for the most part I walked out feeling like I didn’t entirely drop the ball. Pilot is green (this is still his first year actually jumping seriously, he’s an ex-dressage horse!) 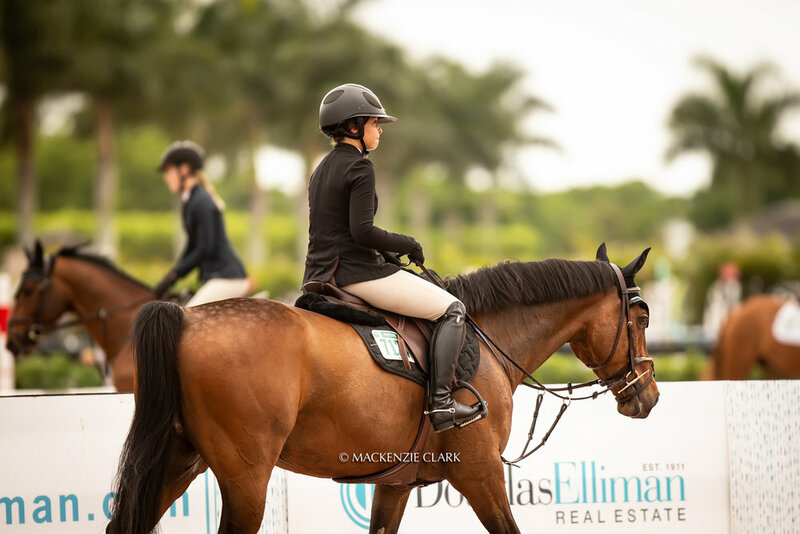 and I am DEFINITELY an Amateur, so I realize the odds are stacked against us in the crazy competitive world that is WEF, but being proud of the rounds I put down is a big plus. I used to leave the ring feeling stupidly frustrated and annoyed, and I think I’m starting to realize that there are positives in everything. So what if we had one down, we jumped every single vertical clear, even the vertical to vertical combination! Even the smallest things matter, it’s all part of that learning curve. While we didn’t get any amazing accolades or clean rounds it was a learning experience that I couldn’t really trade. We jumped some of the biggest tracks we’ve ever done to date, and with Pilot trying his heart out, I can’t really blame him for his moments of green brain — or moments when my Amateur brain fails both of us. He jumped some fences absolutely insane, getting better and better each week, and I’m really proud how far the two of us have come, stepping up to the WEF challenge as best as we could! As WEF comes to an end, I can’t help but be so grateful for everyone who has helped me to this point, to chase after my dreams as unconventionally as possible. Can’t wait for next year, and maybe a little romp around Post-Season too!! 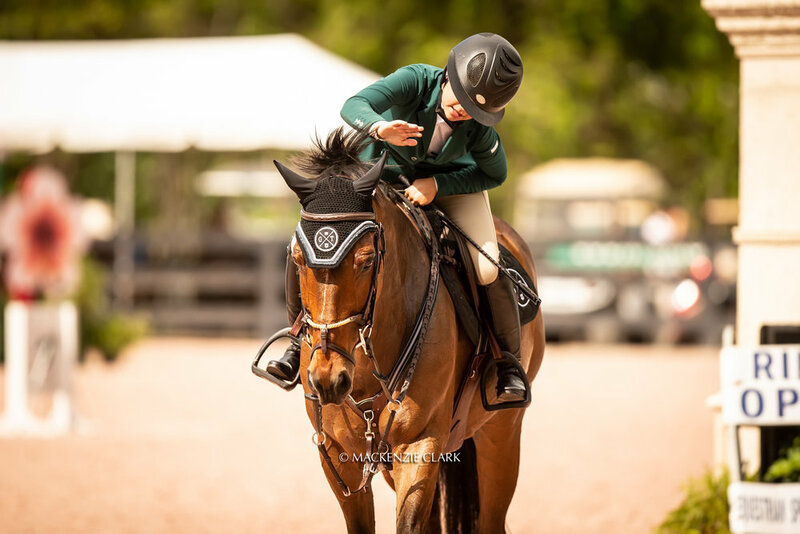 A huge shout out to Mackenzie Clark Photo for the absolutely stunning photos of me and Pilot over our two weeks of showing, I honestly almost cried when she sent them to me for the first time. 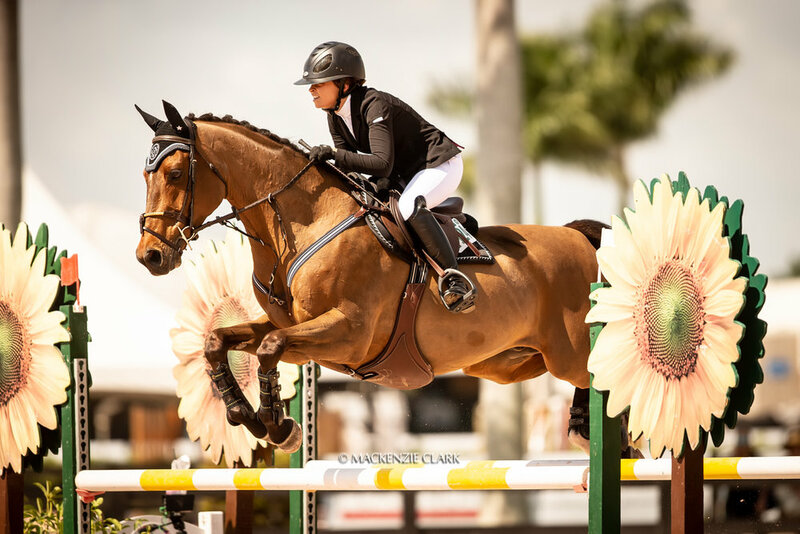 As the “barn photographer” I was always jipped on having great photos of me and my horse, and to be able to actually have memories of our time at WEF is something I cannot replace! Just some of my absolute favorites, because I honestly love them all!